Janhvi Kapoor went on a movie date with her brother Arjun Kapoor and sisters Shanaya and Anshula Kapoor. The actress was spotted outside a multiplex on Sunday. She was dressed in a denim jacket and a pair of denim hot pants. Arjun and Anshula Kapoor were spotted exiting the Mumbai multiplex together. The brother-sister duo sported casual attire for the outing. Sanjay and Maheep Kapoor joined the squad as well. 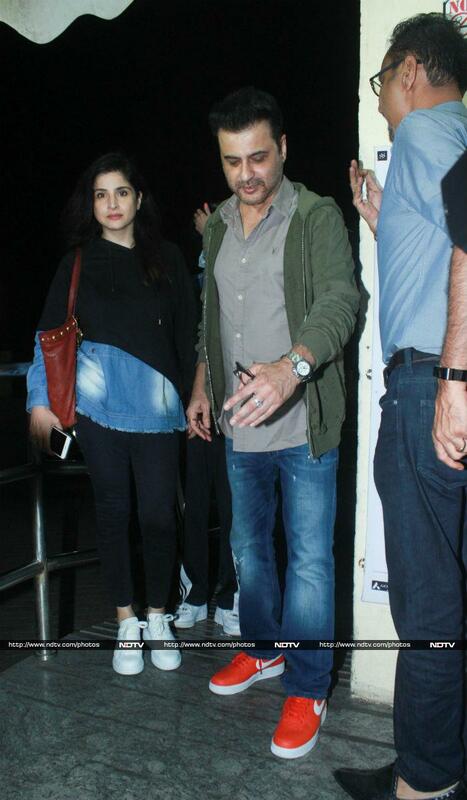 Along came Maheep and Sanjay Kapoor's elder daughter Shanaya, who was also photographed with the couple.